it's all about Rainbows today being we are already into April. combine the two and it brings out pretty rainbows! 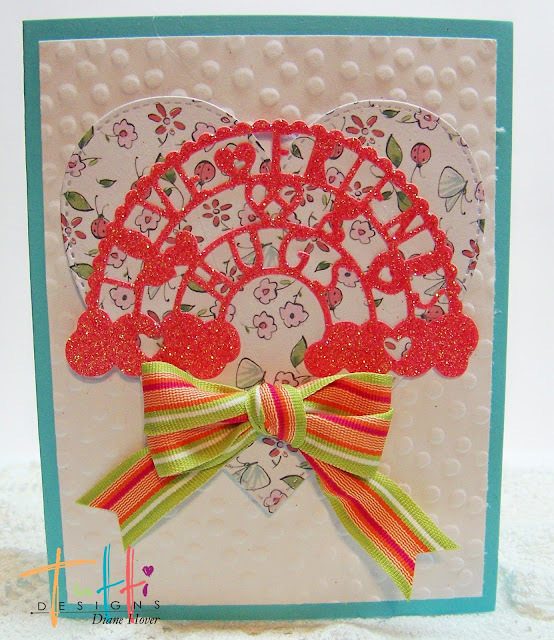 I have three cards today featuring the Tutti Designs Love Rainbow. 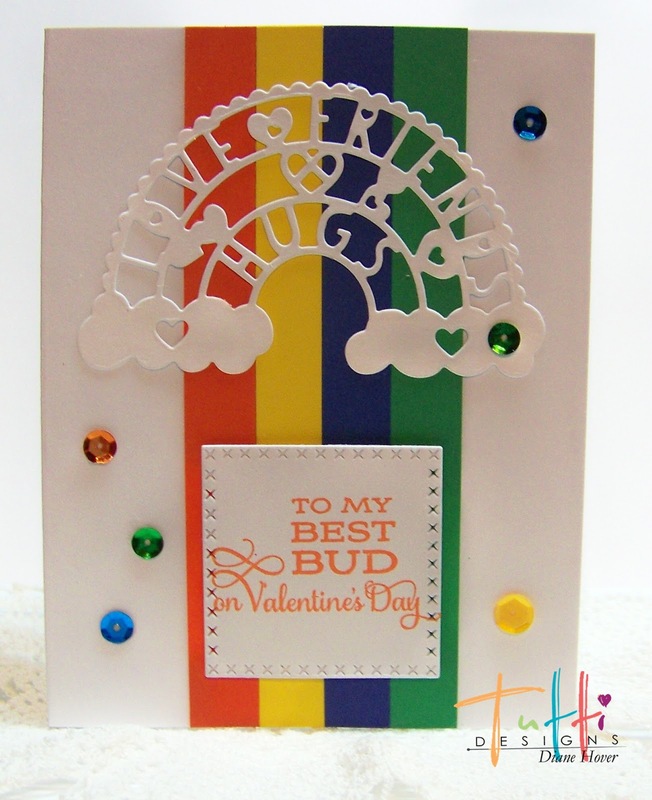 The first card is full of sparkle as the rainbow was die cut on a glitter paper. which was popped up on an embossed background. A bright and colorful bow was added to complete. on a bright yellow card stock. The rainbow once again is full of sparkle being cut from a white glitter paper. The rainbow was adhered to Tutti Designs Dotted Nesting Oval. 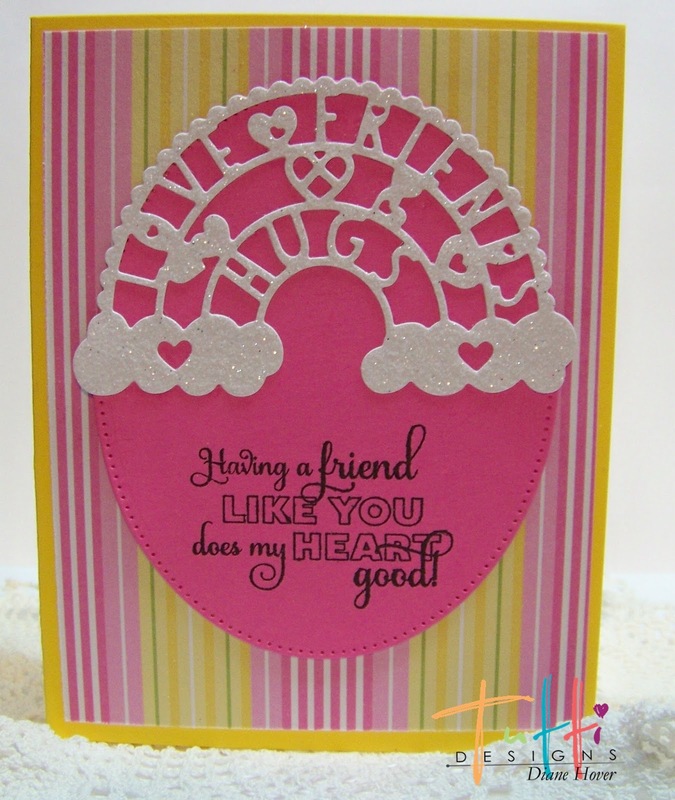 card stock in rainbow colors down the center. and a few colorful sequins! I hope my cards have inspired you to create a few 'rainbow' cards of your own! WOW these are all so great it's hard to choose a favorite! So I won't! LOL Thanks for sharing such wonderful inspiration using these dies! Beautiful creations! Wow these are amazing, awesome job, and love the bright colors. Way to go! Super cards, Diane! Great inspiration with all of the different designs. Who doesn't love a rainbow! And you have given us such a beautiful variety! !